Unbeatable Quality & Service — Call Us Today! One of the biggest environmental problems in the world today is rubbish. There are some parts of the ocean that seem to collect large amounts of waste, and the effect that this has on the local ecosystems is devastating. Hopefully the garbage problem at your home or business doesn’t cause as severe devastation, but it may be becoming a bit of a nuisance. If you’d like to stop having to worry about the mess, or if there are just some old things you’d like to get rid of, you’ve found the right business. Same-Day Rubbish Removal can solve waste problems of all types, all you have to do is give us a call and tell us what needs to go. We also promise to dispose of your trash responsibly; we will recycle what we can, and we won’t just be shifting environmental problems elsewhere! Our team here at Same-Day Rubbish Removal have had many years of experience collecting garbage from Sydney residences and businesses. There’s not a rubbish job that we can’t help you out with. Some of the things we commonly remove include large old objects such as broken fridges, damaged couches, old washing machines, etc. We’re able to make easy work of those large objects that you may have difficulty of moving and disposing of yourself. We also do large clean up jobs such as removing all the leftovers from building sites or home renovations, or removing mass old equipment from home or business upgrades. 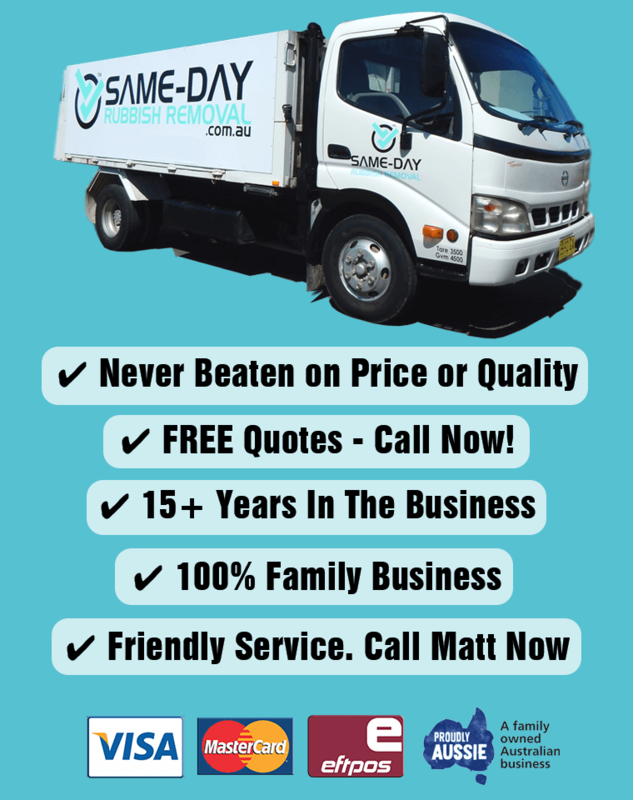 Our extensive experience is what helps us stay the most affordable option for waste removal in Sydney. 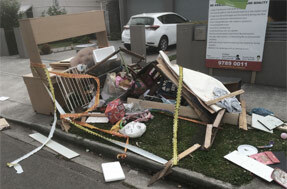 The friendly team at Same-Day Rubbish Removal look forward to helping you clean up the junk at your Rockdale Location. Apart from offering the best all-round customer service in Rockdale, one of the things that our team is most proud of, is our commitment to recycling as much as possible. We hate to see junk being sent straight to land fill, as it’s not only wasteful, but can also cause long term environmental problems by leaking chemicals, etc. into the earth. We’ve seen the expansion of recycling facilities across Sydney over the last decade, and we actually get excited when we see new facilities open. It’s been sad to see rubbish production increase just as much though, so it is hard to tell whether the amount Sydney residents are sending to landfill is going down or not. If you’re concerned about your rubbish going to the wrong place and causing environmental harm, make sure you dispose of it responsibly by having Same-Day Rubbish Removal collect it from you. Being Sydney’s #1 Rubbish Waste service means that we try to complete jobs in all Sydney areas. Rockdale is just one of the suburbs that we specialise in, along with many surrounding St George suburbs including Hurstville, Kingsgrove, and Mascot. We also do lots of jobs in the CBD and in the Eastern Suburbs such as the Coogee/Randwick area. Our efficient service cuts out many of the normal costs of removing garbage and we’re ready to come to your location when you call. Whether you’re in need of a household clean up or a commercial/office clean up, our friendly team is ready to come help. 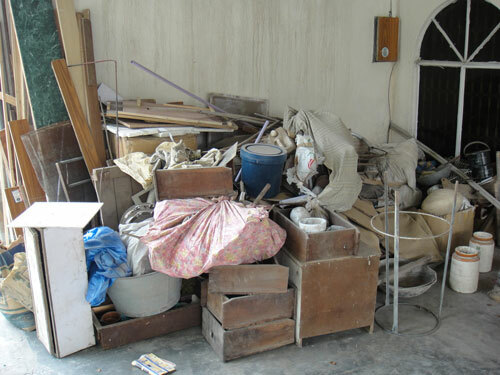 Get in touch with us to day to receive a quote on your rubbish removal that you wont be able to refuse. It’s as simple as calling us on 0402 737 046. 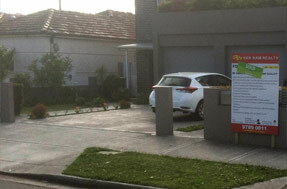 As it is just south of Rockdale, Same-Day Rubbish Removal offer super fast service to Kogarah too. Spreading across the Princess Highway, Rockdale offers many conveniences to its residents, such as the nearby airport and easy access to all areas south of Sydney, such as the Sutherland Shire. This convenience is what has helped it grow to such a large population, with over 15,000 residents. We’ve to a team ready to come to your Kogarah home or business, so if you want the fastest and cheapest service possible, give our friendly team a call today. Just west of Kogarah, Carlton is another high population suburb, having the same conveniences as the surrounding suburbs. With local shopping centres, schools, churches, parks and many other conveniences, most Carlton residents are quite content. The curbside bin collection service is great here too, however, the bins aren’t any bigger than anywhere else. You’ve probably found that items like fridges don’t fit! If you’ve got something of significant size that you want to dispose of, give our friendly team a call. We’ll have it gone in no time, and we’ll be sure to have it disposed of in the most responsible way possible, which is usually recycling. Just north of Carlton and West of Rockdale, Bexley has a rich history, and a high population. Originally settled around 200 years ago as farming land, the suburb was named after James Chandler’s birthplace in England, who bought farms right here in 1822. Bexley hasn’t looked like farmland for many years now, and there are now around 20,000 residents squashed into the suburb. If you don’t have enough room in your backyard for a recycling facility or rubbish tip, you could probably use our service from time to time. Whenever you need, we can come to your Bexley property fast – just call us on 0402 737 046.